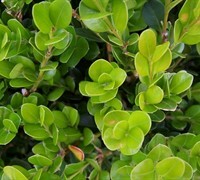 Manage the general information about Wintergreen Boxwood. Some plants will fit into more than one category. This category should be the category that best describes this plant. Note: Multiple plant types can be added to a plant file. To add additional Plant Types, click the Plant Type tab. Please Note: If there is no species or cultivar name enter " None " in the field (do not include quotes). First time editing a Gardenality plant file? Save time and frustration by reading this guide first! Once you complete your edits, click save. Your edits will then be posted in the pending approval area of Gardenality. Once they recieve enough votes, they will be posted live! Click here for more info on how this works.